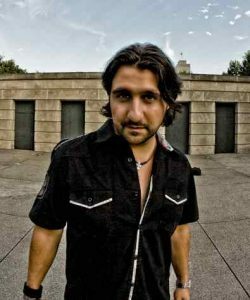 The former National Director of Events for the Nashville Songwriters Association International (NSAI) and an exceptional songwriter and artist in his own right, David Petrelli, has put down a few thoughts for songwriters headed to Nashville for a visit. Nashville, TN is home to the most talented and successful songsmiths in the world. 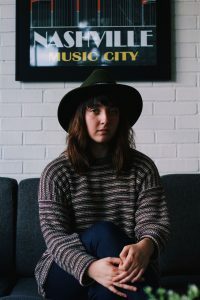 But for countless aspiring songwriters who do not call Nashville home, getting connected into the network of the Nashville music scene often seems a near impossible task. The truth is that you do not need to live in Nashville in order to make headway in the music biz. It’s simply a matter of perspective and game planning. You can’t expect your path to be exactly the same as a writer who lives here. Imagine if you were trying to be a movie star without living in Los Angeles. Sure, you could send in a few audition tapes here or there, but that would only take you so far. At a certain point, you’re going to need to be where the action happens – because as the old adage says, you “must be present to win.” The lesson? If you are a songwriter who doesn’t live in Nashville, be prepared to visit…a lot. The great news is that Nashville is chock-full of opportunities for writers of all levels to gain invaluable experience and knowledge, all while honing and improving their craft. Watching and participating in local writers rounds, establishing co-writing relationships and attending educational seminars are just a few of the ways you can shorten the distance between you and Nashville. One of the most magical and inspiring things about Nashville is the opportunity to see songs performed at their most visceral level. No big name artist, no fancy studio tricks: just the song, the songwriter and the audience. Writers Rounds include anywhere from 3-5 writers on stage (or literally in a circle) taking turns sharing their music with the crowd. They are incredibly common at venues all around Nashville, and are a phenomenal way for aspiring writers to meet one another and be exposed to all kinds of original music. While I always caution writers to continue the essential practice of writing by themselves, it’s undeniable that forging co-writing relationships (especially with writers who live in Nashville) can go on to pay huge dividends. Aside from the creative and artistic advantages associated with the collaboration process, the business and networking incentives are equally as fruit-bearing. It’s a wonderful way to keep your songs – and your name – in town long after you’ve returned home. It’s also one of many ways you can begin to establish your own network of friends and connections in town. There is no shortage of fantastic and incredible events geared towards educating the aspiring writer in both the craft and business of songwriting. From 3-hour workshops to 3-day Song Camps, Nashville has an array of choices for those looking to learn from hit writers of today, and meet the hit writers of tomorrow. Do your research on the various companies organizing these events and seminars. You want to make sure you are getting the highest possible return on your investment because if you choose wisely, these experiences can turn out to be nothing short of life-changing. Many such events offer you the chance to sit with huge names in the business – something you certainly could not accomplish on your own right away. Depending upon your goals and needs, you can find ways to truly expand your horizons and improve your craft, learn inside secrets to the business side of things, or even pitch your songs directly to publishers and top decision-makers. But remember to be honest with yourself and always aspire to be a better writer tomorrow than you are today. One of the most common mistakes writers make is thinking their songs are ready before they really are. Educational seminars and workshops can he hugely beneficial in that regard. We are all on our own path. Keep planting seeds, and you never know when one (or more) will start to bloom. The more you make of the time you spend in Nashville, the more those lessons and connections will keep working for you when you aren’t here. As the good folks at NSAI say, “It All Begins With A Song.” Where it goes from there is your decision. Cliff, I need a quick quote. How much would it cost to get the country singer, (that sang on my song, “If Diamonds Are Forever”) to do lead vocals on the song I sent you last month, (The Best Around). I cut the tracks with Kevin Fisher and we could get all the data up to you. A helpful article. I was visiting regularly from 1995-99. At that time Music Row had a real friendly small town feel. It is now a BIG city. Though I still find the writing community very helpful. I think every writer has their own individual path, no 2 the same. I’ve had a recording studio here in Nashville for 29 years. Amateurs and wannabes don’t understand this is a profession, not the lottery. Sure there’s some luck involved, but mainly putting in the hours and years of work. Show up on time and prepared. Many people are afraid of contracts. Contracts are your friend. If you don’t understand what one says, bring it to a music lawyer, not a real-estate lawyer your aunt knows. If you want to be a part of any profession, you have to go through the learning curve. It’s a profession, not a job. Its 24/7, not 11-3 dropping fries at McRestaurant. Understand that there are lots of really talented, hard-working people who have been here since long before you showed up. If you have a burning need to be a part of this industry, c’mon down.